Thanks to all the boys who participated in 15U tryouts last night. We wanted to provide a quick update on the bat standards for the 2019 season. As many have seen at stores there is a new bat standard, the USA Standard, that is out on the market and some leagues are switching to use this new standard. On October 10th the Gopher State Baseball League Advisory meeting was held and a vote was taken to maintain the current bat standards that have been in place the last several seasons. What does this mean for our player? This means that the current bat you are using is still legal for play next season in Gopher State League play. If you wish to use the new USA Standard, this bat is allowed as well. Will Gopher State be switching in the future? The vote was to maintain the standard going forward with no plans to switch. This could change but the current plan is to make no changes to the bat rules. What is the difference between the bat standards? The new USA Standard is designed to be more like a wood bat, with less 'pop' and exit velocity of the baseball off the bat. If buying a new bat, what should I buy? This is going to be a personal decision as both bats are going to be legal in league play, but again the newer USA Standard bat is going to play more like a wood bat. What bats will be allowed in tournaments? This will be up to the individual tournament hosts to make a decision on what bat they will allow. The other major league in the metro area, Metro Baseball League has voted to only allow USA Baseball bats this season in their qualifying tournaments. Given this recent change the FLBA board is currently discussing how this will impact the tournaments we will register teams in for the 2018 season. Please join us Saturday, 4/27 11-1, for our annual picnic - hosted at Forest Lake Chevrolet! See flyer for details! Exciting times at FLBA as we will be starting 9U Traveling teams starting in the 2019 season. See our FAQ below and if you have any other questions feel free to reach out to our Travel Director Jim Fallon, jfallon1@gmail.com or any board member. What is the schedule like for 9U? The 9U season will consist of 12 league games (compared to 16 at 10-14U). FLBA will enter the 9U team into one local tournament. Additional tournaments would be decided as a team and covered by the team. What is the cost of 9U and what does that cost cover? FLBA will be offering 9U baseball at a great price of 150.00 per player. This entry feel covers a full uniform just like all age levels in FLBA, it also covers the league entry fee and entrance into 1 tournament. How far will we have to travel for league games? Each year can be a little different depending on the other communities that register with Gopher State baseball, however 9U seems to be growing every year. The league makes every effort to put teams in divisions based off geographical locations. You can be expected to travel mainly in the northern suburbs (Blaine, Mahtomedi, Roseville) but again depending on the registration may have games in St. Michael, Rogers or Elk River. What levels will be offered at 9U? Currently the Gopher State Baseball league does not specify a level for 9U, rather it is open class. This means there is no AAA, AA or A at this level. My child is 8 years old can he try out for 9U? Yes we will allow 8 year olds to try out. When forming teams if an 8 year old and 9 year old have the same score we would give the spot to the 9 year old. How do I know if my child is ready for traveling baseball at 9U? This is a tough question but we would expect that each child playing has the basic skills of baseball such as catching and throwing a baseball. For safety reasons if your child can not consistently catch we would recommend they practice and master this skill prior to trying out. Will there be tryouts and how will teams be formed? We will have a 9U tryout the weekend of March 16th and March 17th,2019 with the times TBD. With 9U being open class we will form even teams if we have enough registrations and kids ready to play traveling. The number of teams will be dependent on registrations and tryout scores, however due to the size of the league we most likely will a have 2 team max in 9U. How many kids will be on each roster and will there be kids who don’t make a team? This decision will not be able to be made until tryout weekend. Typically we strive for 12 kids on a team but at this age we may go up or down based on skills and registration numbers. In regards to kids not making a team this will be based on numbers, the number of teams we form and individual skill level. Looking to keep your swing in shape or get in some throws before the season, check out renting the Gravelle Baseball building for your training needs. 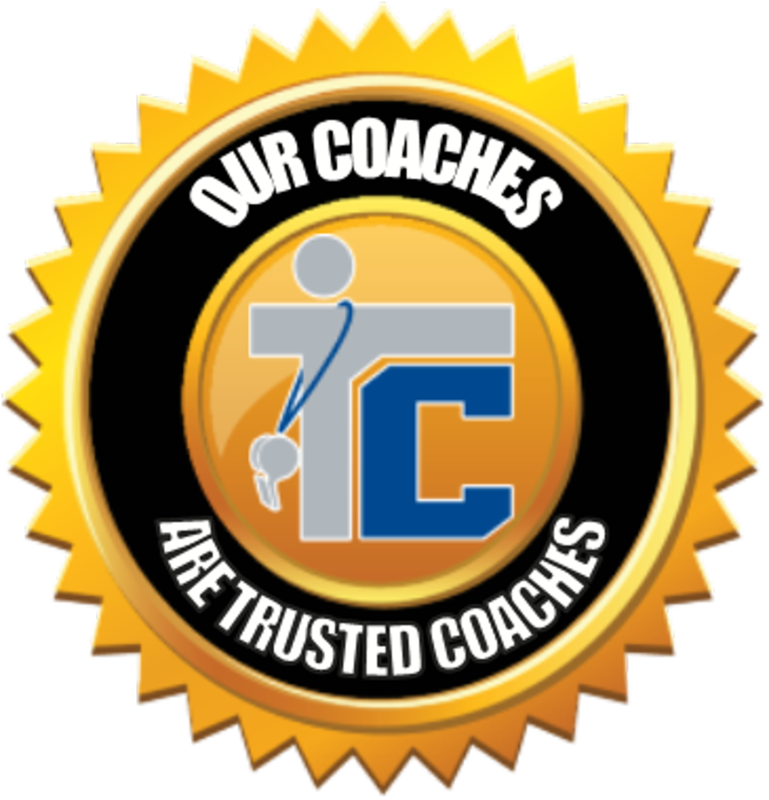 FLBA in extremely excited to have invested in and committed to the Trusted Coaches program! ©2019 Forest Lake Baseball Association / SportsEngine. All Rights Reserved.